If your business is struggling with cumbersome paper based processes and paper is making your oganisation feel overwhelmed and disorganised. 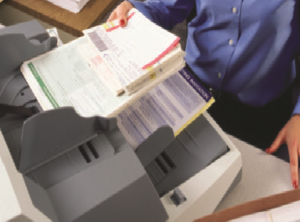 Scantech offers a range of fully managed document scanning and data-capture response handling services. Scantech takes your mountain of paper-based information and provides it back electronically, streamlining business processing. This allows the business to save time, money, storage space and effort; this adds real value to your organisation’s operations. By understanding clients’ needs and daily challenges with business processes, information management and legal requirements for records retention and archival, Scantech is able to offer superior customised solutions. More time for staff to focus on core business and enjoyable work. Securing vital information from Disaster. Document retrieval time down to seconds. All documents scanned in duplex dual stream colour with no additional cost. Transitioning from paper intense organisation with unwieldy processes towards an office with reduced paper. Document retrieval and management should be fluid, secure, portable and accessible even outside the office, Scantech realise this and have made the solution a reality with electronic documents.